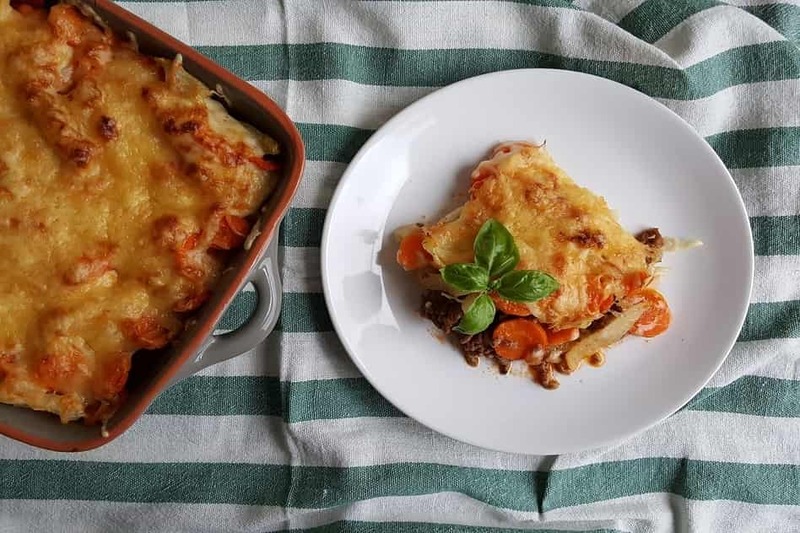 Ceramic cookware has risen in the kitchenware ranks as a good non-stick option, especially since Teflon (see Ceramic vs. Teflon here) has fallen in popularity. Ceramic cookware has many fantastic benefits, but it isn’t exempt from a few questions regarding safety. If you’re considering purchasing a new ceramic cookware set, or you’re wondering if you’re existing ceramic products are safe, you’ve landed at the right spot. Read on to find out why there’s a question of safety around ceramic cookware, the difference between pure ceramic and ceramic coated, and whether or not it is regulated by safety guidelines. 1 Why is there a question of safety? Why is there a question of safety? When it comes to the equipment we use to cook our food, we must be sure that it’s not going to harm us. And unfortunately, it does happen. Teflon, which was extremely popular in the 1960s turned out to emit toxic fumes. Not ideal, is it? The particular chemicals which were exposed as the culprits are PFOA and PTFE. When Teflon is heated past a certain point, these nasties are broken down and emitted into the air we breathe and the food we eat. Because ceramic cookware is non-stick (like Teflon), there’s a valid question around whether or not it poses the same risks. It does not contain PFOA or PTFE, but there are concerns around heavy metals such as lead, seeping into food. The question is around the glazes which are used, not the materials used to create the ceramic. The issue is that the glaze and coatings which were previously used for ceramic cookware included lead and cadmium. Both of these are 100% NOT safe for consumption past a certain point. They can cause all kinds of nasty side effects such as vomiting. But that’s the worst case scenario. And to put you at ease, USA-made ceramic cookware has to legally adhere to strict guidelines surrounding lead and cadmium. To summarize? The question of safety is born from natural curiosity and concern around the tools we use to create the food we concern. 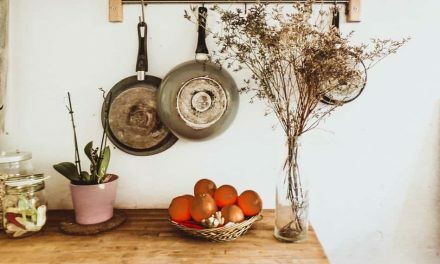 Because of previous experience with iffy cookware such as Teflon, most other cookware is subject to a bit of side-eye and questions regarding safety, and ceramic is no question. 100% pure ceramic cookware does not have a metal interior or base. It is made from 100% natural substances which have been blasted at an incredibly high heat in a kiln until extremely hard. 100% ceramic cookware is generally glazed for both aesthetic and functional reasons. The glaze gets things nice and glossy, and stops food or liquids from sneaking into any pores in the ceramic. Yup, it’s safe. As long as the glaze is well within the lead and cadmium guidelines, there are no issues there. Ceramic coated cookware generally has an aluminum base with a ceramic coating and glaze over the top. This is where things get a little iffy. Back in the day, ceramic coated cookware was coated with a much thinner ceramic layer. This meant that if the ceramic layer were to chip or wear down, there was a risk of metals leaching through from the base and into the food. The thing about aluminum (especially cheap or untreated aluminum) is that it can wear down and leach when exposed to acidic substances. Yup. it’s safe. As long as the ceramic layer is thick and has been glazed with a regulated glaze with no (or very little) lead and cadmium. The metal base should be made from high-quality, treated aluminum or even stainless steel. Ceramic cookware which is made in the USA is regulated by the FDA. It must adhere to strict rules concerning lead and cadmium. When it comes to PFOA, most manufacturers (reputable ones at least) do not use this whatsoever. However, you’re more likely to find PTFE in cookware (especially non-stick), but will never find PFOA. 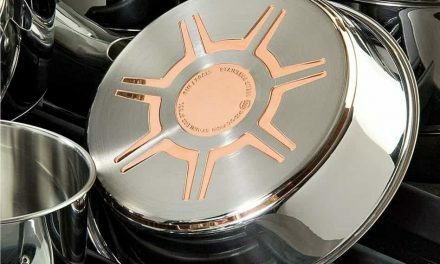 Brands such as Calphalon are said to use PTFE in some of their ceramic cookware products, and therefore advise the user to use medium-high heat (as opposed to very high heat) so as not to break down the coating. Glazed ceramic cookware has to adhere to a specific guideline surrounding lead and cadmium levels. If it fails this test…well, it cannot be sold in the USA. Yes, with a few “ifs”. If you buy your ceramic cookware from a reputable source, with an “FDA-approved” note somewhere on the marketing material, it will be fine. Buy American-made ceramic cookware, as it will have been put through careful safety testing. 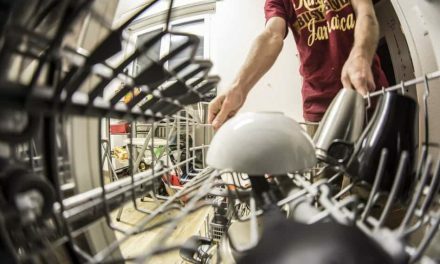 The concern over lead and cadmium can pretty much be put to rest, as most highly-regarded companies do not use these ingredients, and if they are present…it’s only in teeny tiny amounts. Whenever you purchase any cookware, ceramic or other, make sure you check for evidence of safety regulations. Make sure it has an “FDA-Approved” label, and states a list of “free from…”. Brands which can rightfully claim that their ceramic cookware is safe, will. Safety and health is a big drawcard in marketing these days, so it’s often one of the first bullet points you’ll see. But make sure there’s a certification to back up any claims of non-toxicity. USA-made cookware is probably the most reliable choice because it is likely to have gone through strict testing to ensure safety. Also, avoid buying vintage or old-fashioned ceramic cookware. It might look great in your kitchen, but it may well have a very thin ceramic layer, exposing the metal which can leach into your food. If you buy ceramic cookware which costs a pittance, you’re likely taking home a low-quality set which is potentially dangerous. Extremely cheap cookware is likely to have been made in less safe conditions, with little or no safety regulations. What’s more, it will likely be flimsy, conduct heat unevenly, and can even emit toxins when heated. You’ll end up disappointed and out of pocket as you’ll have to repurchase your cookware after a short while. It pays to save up a little more to find a high-quality ceramic cookware set which has been tested, approved and given the safety nod. Pay a little more for a thicker base, thicker ceramic coating, even heat distribution and overall durability and sturdiness. Your cooking will be safer and you’ll save money in the long run as you won’t constantly be replacing pots and pans. Non-stick: ceramic cookware offers a non-stick surface to keep your food free, released and intact. There’s nothing more frustrating than food stuck and burning on the bottom of a pan, needs to be ruthlessly scraped away. Cost-effective: there are some great affordable options out there from well-trusted brands. As previously mentioned, it is best to avoid the super cheap stuff, but you can definitely still get great value for money. Easy to clean: ceramic cookware is easy to clean thanks to the smooth, non-stick surface. By not having to scrub or scrape at your cookware, you’re preserving the quality while saving time and effort. Bright and colorful: many brands who create ceramic cookware take the chance to add pops of bold color to their products. You can find some amazing ceramic cookware sets out there with fun colors to add some personality to your kitchen. Safety: yup, ceramic cookware is safe, as we’ve learned here today. They are non-reactive, non-leaching and do not contain those nasty PFOA or PTFE chemicals. See also our longer article on the benefits of ceramic cookware. Overall, ceramic cookware is a very safe option. The old concerns about lead and cadmium have fortunately been phased out as companies have become savvier with their materials used. Glazes and finishes are now made with safer ingredients, and testing is more stringent to ensure safety. You can go ahead and purchase a ceramic cookware set with confidence, knowing it is safe for you and your family to use.